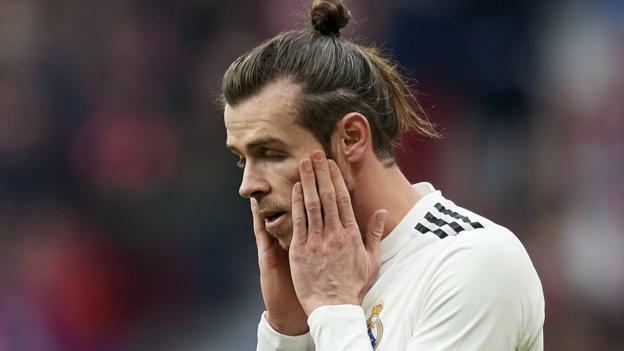 La Liga have asked the Spanish Football Federation (RFEF) to sanction Gareth Bale for a “provocative gesture” as he celebrated scoring in Real Madrid’s 3-1 win against Atletico Madrid. The Welshman made an arm gesture after scoring his side’s third goal and his 100th for the club in the 74th minute. Bale raised his bent arm and hit it with his other hand, a gesture that is considered offensive in Spain. Last week, La Liga said it would crack down on “offensive goal celebrations”.